Since childhood INRI obeys a unique, strong and imperious voice that speaks inside his head, but until the fast he did not know who was this powerful Being, this supernatural force that commanded him (“When the Spirit of truth comes, he will guide you into all the truth; for he will not speak on his own, but will speak whatever he hears, and he will declare to you the things that are to come” – John c.16 v.13). He just felt that he needed to obey, and in the times he hesitated, did not obey right away, he was afflicted by a stabbing pain in his head. INRI did not have conscience of his identity and condition, fulfilling what is foreseen in the Holy Scriptures regarding his return (“… I will come to you like a thief, and you will not know at what hour I will come to you” – Revelation c.3 v.3). Just as INRI got rid of the reasoning padlocks (dogmas) imposed by religions, he became an atheist. 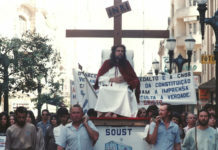 In this condition he began the public life in 1969. 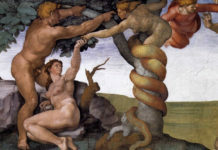 He lived as a prophet of an unknown God and connected his speech to the Cosmos, which he called Father. At that time, the world had just watched the man’s first travel to space, performed by the Russian cosmonaut Yuri Gagarin during the government of Nikita Khrushchev. Both were ideological atheists. When Yuri Gagarin came back from space, it is said that Nikita asked him if he had found a God, and in this occasion he would have pronounced the notorious phrase: “I looked everywhere, but saw no God”. 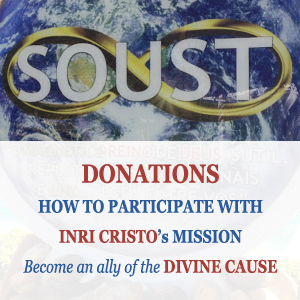 In the beginning of public life, the powerful, transcendental voice that commands INRI since childhood ordained him to assume the name Iuri with the mission of deciphering the enigma of the Cosmos and discover the true GOD, who is beyond the sphere of religions invented by men. 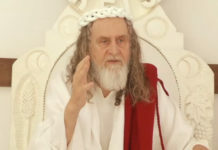 From 1969 to 1979, with the name Iuri, he lived as a prophet, metaphysical consultant; he intervened in destiny of his fellows using the gift of clairvoyance which is inherent to him since childhood. 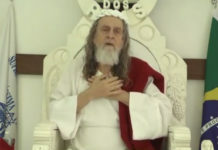 In 1971, when he spoke for the first time in TV Morena, channel 6 of Campo Grande, the director Elias Zahran said that it was necessary to aggregate a surname and suggested Nostradamus. 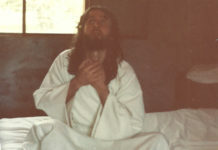 Obedient to the inner voice, INRI answered: “Let it be ‘of’ Nostradamus”. 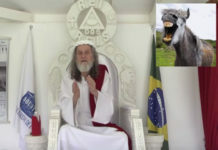 From then on he was known as Iuri of Nostradamus and so he was presented by the holidays by the Brazilian media, prophesying about the future. “Nostradamus” was an allusion to the French physician of Renaissance who was known for his extraordinary clairvoyance and for having pronounced the notorious phrase: “Nobody can see the future except by God’s allowance”. From the Latin, Noster Domina, in translation to French, Notredame, means “our Lady”, condition attributed by Christianity to Mary, the woman who generated Christ two thousand years ago. 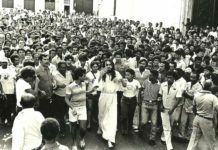 Only in September 1979, when lead to the fast in Santiago of Chile, the powerful voice became manifest and revealed the enigma in his name: “I am the GOD of Abraham, of Isaac and of Jacob. I am your LORD and GOD, and you are my Son, the same Christ who was crucified. In your name is the mystery of your identity. Your name is Inri, not Iuri; the second letter is upside down: u#n. INRI is the name that you paid with the blood on the cross. It is your new name”. 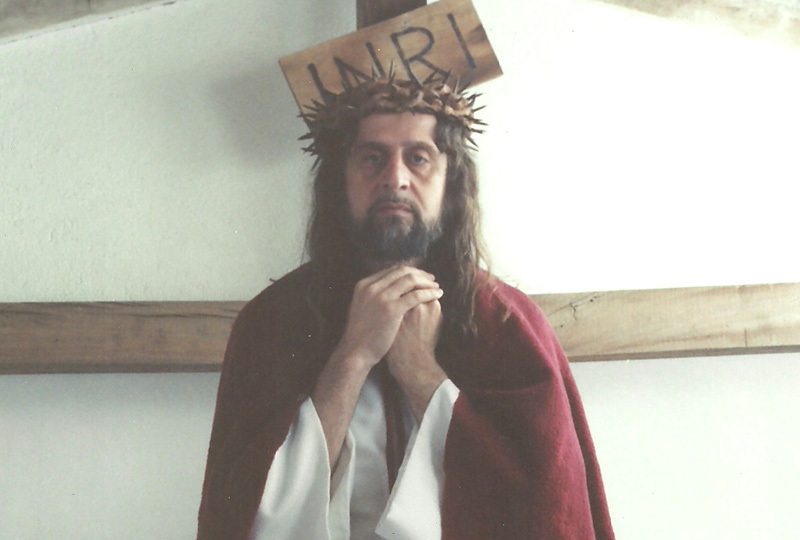 It was then that INRI had conscience of his condition and of his new name. However, the LORD said that should not reveal his identity to anybody yet, except those to whom He revealed directly. And could only make it public when a newspaper, as if by mistake, wrote his name correctly. 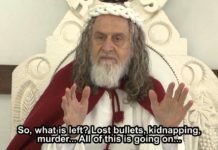 After the fast in Santiago of Chile, INRI was taken by the elder Alamiro Tapia, a free-thinker, studious of mystical and esoteric issues, to recover in Villa Sana Institute. He was the first person who discovered the mystery of his name and even recognized him by the voice when listening to him in Radio Portales. It was him who purchased the pure linen cloth for sewing INRI’s first tunic. 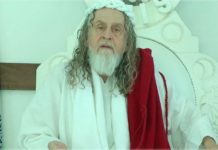 Alamiro visited INRI in the referred institute, occasion when he said, inspired: “Maestro, hay un misterio en tu nombre. Tu nombre no es Iuri, pero Inri. La segunda letra está invertida – Master, there is a mystery in your name. 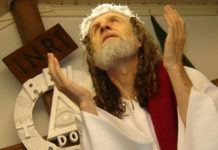 Your name is not Iuri, but Inri. The second letter is upside down”. It was amazing for INRI to hear such unexpected declaration from Alamiro, who received such declaration from GOD. 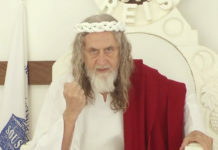 As if it was not enough, an elder esoteric lady also came to his presence saying: “Maestro, tu eres INRI”. 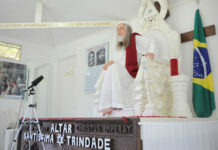 She showed him in the book ‘Yug, Yoga, Yoguismo’, written by Serge Reynaud de la Ferriere, the reference to the name INRI and the quotation in Revelation c.3 v.12: “If you conquer… I will write on you the name of my God, and the name of the city of my GOD, the New Jerusalem… and my own new name”. 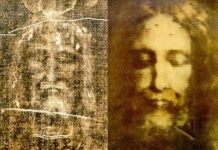 INRI continued peregrinating throughout Latin America dressing his ancient and inseparable garment, the tunic, however still introducing as Iuri. 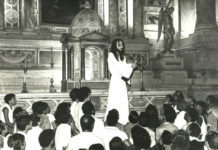 When he arrived at Mexico in 1980, to fulfill what the LORD had told him in the fast, the newspaper Ovaciones published on the first page: “INRI, el Cristo, habla al pueblo y cura a los enfermos en el Quiosco de la Alameda – INRI, the Christ, speaks to the people and heals the sick in the Alameda Kiosk”. From this day on, INRI started to publicly declare his new name and felt with vehemence what the FATHER had told him about reproach. He was hated and rejected by many, loved and recognized by few. From Mexico, INRI aimed to continue his peregrination in the United States. However, banished from that country, he just passed through Miami airport and went on to Spain.